. 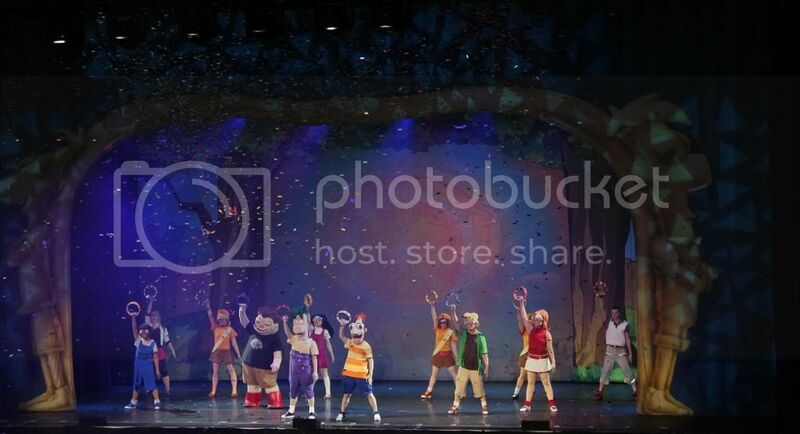 @TeddyOutReady: Phineas and Ferb: The Best LIVE Tour Ever! 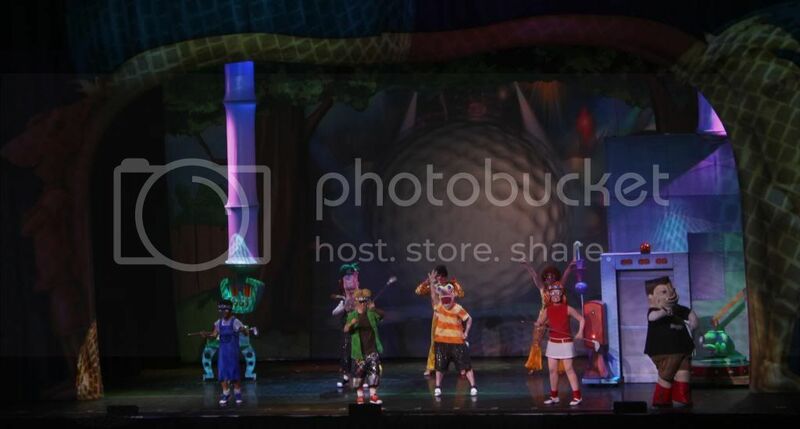 Phineas and Ferb series received special attention by our family since everyone got a role in it, including adults. Name a character and I can tell you who is like one in our family. 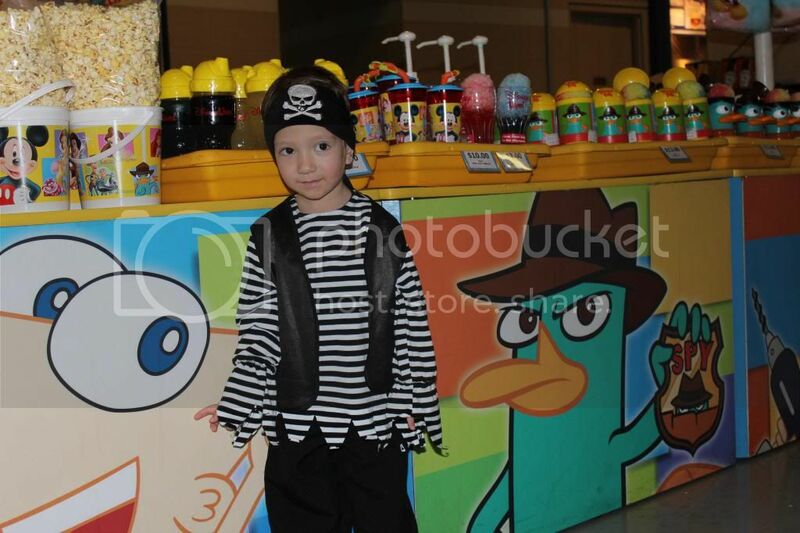 We have our own Phineas, Candace, Perry, Dr. Doofenshmirtz etc . And Teddy got Ferb's role for being smart and laconic. 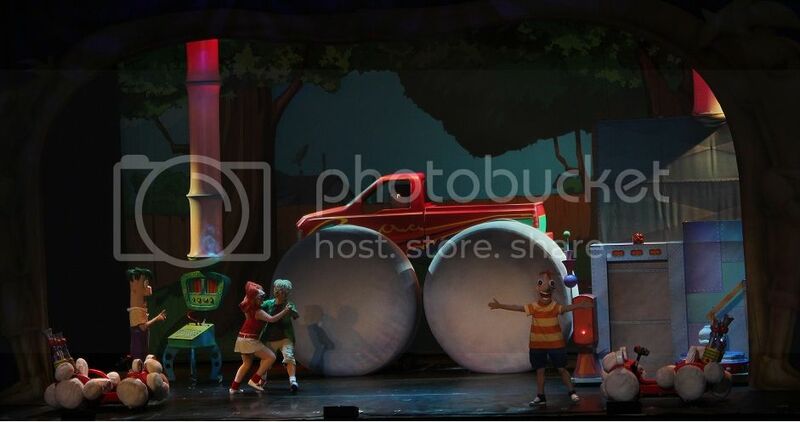 Last month we were lucky to attend Phineas and Ferb: The Best LIVE Tour Ever! At Rogers Center. 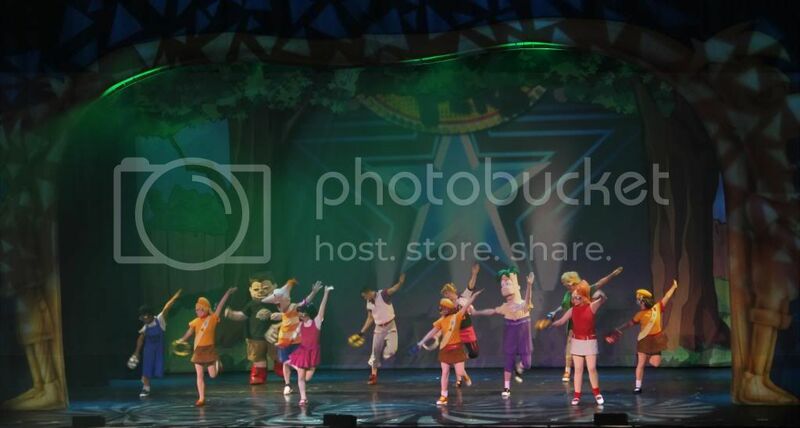 After attending other Disney shows we saw lots of kids in costumes so this time we decided that Teddy can wear his Pirate costume to the show to feel that special excitement all kids have when attending Disney shows. So Teddy was very excited to watch and recognize the familiar characters plus he knew all the songs. The plot was about making the last day of Phineas and Ferb’ endless summer vacation special ( this wild childhood dream everyone has at the beginning of school year). It was great combinations of dancing, music and interactions of TV and live scenes, we watched with interest and love it till last minute. From tech point everything was perfect: media, sound and sync. During the intermission we walked around the Center, Disney products there are overpriced and the choice was limited. It was not big news for us after reading the reviews. Anyway we wanted to buy Teddy something but there was not any T-shirt of his size except with Candace (this was not a good choice), so Teddy received Ferb toy and was so happy to get it, the only thing he is still asking why Ferb has only four fingers. So overall it was a nice show to attend and we enjoyed it a lot, now waiting when Phineas and Ferb will make for us another amazing machine.